Updated Nov. 16, 2018 - The Public Utilities Advisory Board supports rate reduction proposal advanced by City Council Member Mike Huff. The Independence City Council is poised to consider actions to reduce commercial and industrial rates to make them more competitive - potentially saving the large-scale customers $3 million annually. The effort is being led by Council member Mike Huff, a former senior manager at IPL who was elected in April. Huff wants the City Council to adopt the general provisions of a 2015 rate study which was tabled by the City Council. The proposal will be presented to the Public Utilities Advisory Board at is Nov. 15 meeting and the City Council will consider a resolution Nov. 19th. IPL currently has few commercial and industrial customers - larger utility users which can help the overall electrical system balances generating loads and make the overall utility more competitive. A current cost of service study by Burns and McDonnell is underway. IPL provided a rate comparison in August 2017. 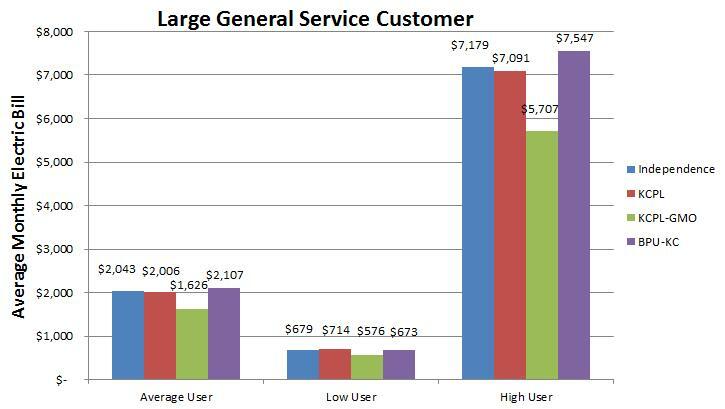 Here’s the comparison for large general service customers and also residential. IPL rates, in general, are higher than other area utilities including the investor-owned Kansas City Power and Light. IPL commercial and industrial rates are not competitive and IPL has a complicated rate structure. In September 2015, the City Council voted unanimously to indefinitely postpone changes in IPL rates in September 2015 but there is growing pressure to make changes in the rates. The 2015 rate recommendations faced opposition to changing a $4.14 minimum monthly bill to a $14.50 monthly customer charge. The council took several months to review and better understand recommendations included a May 2015 rate study done by its long-time IPL rate consultant. At that time, Indy Energy provided the council with several policy recommendations for consideration - including supporting rate reductions for commercial and industrial customers - during 2015 public hearings. Others presenting included representatives from the AARP, the Natural Resources Defense Council and the Eastern Jackson County Justice Coalition. There was broad agreement on opposing increasing the fixed customer charges as creating financial burdens on low-income, fixed income and low-energy users and discouraging energy conservation. Others spoke in favor of developing energy efficiency programs, increasing utility assistance and more renewable energy. The last major rate change was approved in 2008 when a series of year-to-year rate increases were approved. Read KC Star article about the 2008 rate approval. 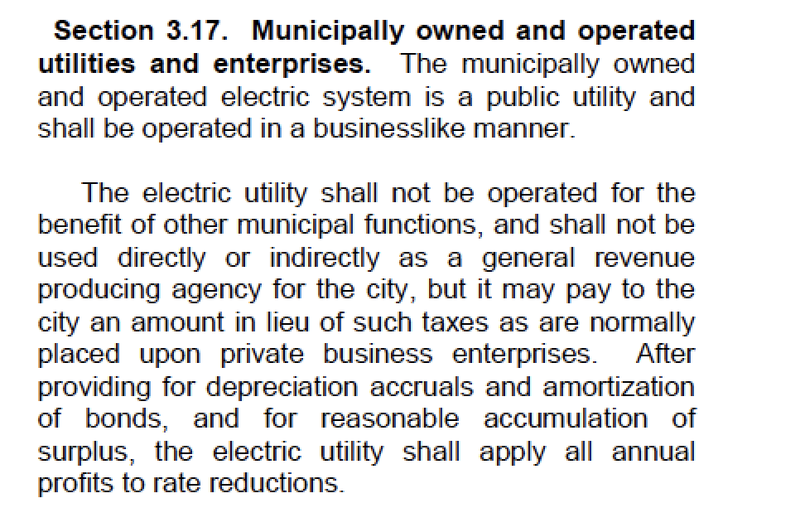 In general, publicly owned power costs less based on national analysis by the American Public Power Association. The APPA study shows that residential customers of investor-owned utilities paid average rates that were 14% higher than publicly-owned systems. Currently IP&L residential rates are higher than the investor-owned Kansas City Power & Light. Data came from 2,006 publicly owned electric utilities, 193 investor-owned utilities and 873 cooperatives from across the nation. A benchmarking study by the Board of Public Utilities (Kansas City, KS) included cost and operating comparisons to IPL. IPL officials differed with many of the figures in the BPU report which was done by an independent firm.